Right before the Christmas break, I got to sit down with Gwyneth Paltrow to talk about her new movie Country Strong. By now you’ve probably seen the clips (or the trailer) and know Paltrow plays an emotionally unstable country star that gets involved with a rising young singer-songwriter (Garrett Hedlund). 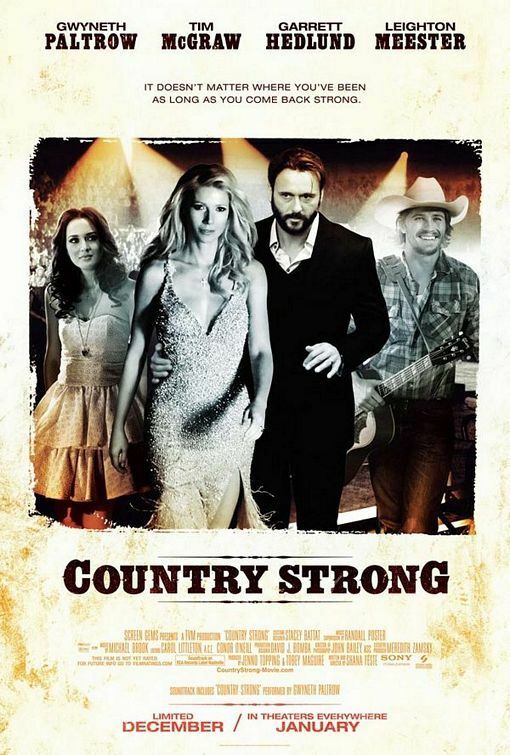 In addition, Tim McGraw plays her husband and Leighton Meester (Gossip Girl) plays a beauty-queen-turned-singer who is trying to make a name for herself. Note: We previously posted the part of the interview where Paltrow revealed that she wouldn’t be in The Avengers. However, I figured at least some of you hadn’t heard the news, so I left it in. How did she get attached to Country Strong? Did she go after it?